AmaWaterways recently christened its newest river cruise ship, AmaDouro, with a festive ceremony in Porto, Portugal. 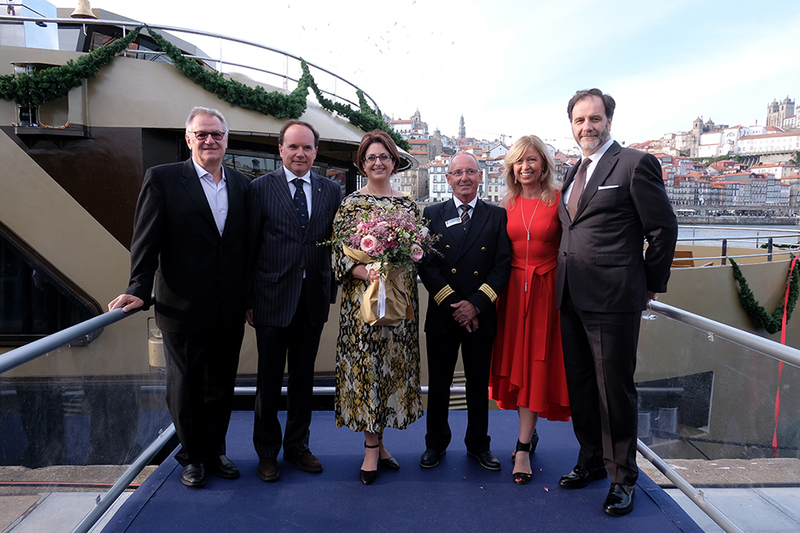 The christening put the final touch on AmaDouro’s inaugural sailing – which began in Porto and returned today for the special evening event hosted by AmaWaterways co-founders Rudi Schreiner and Kristin Karst. Honourary guest, Advantage Travel Partnership Chief Executive Officer and AmaDouro Godmother, Julia Lo Bue-Said was joined by respected travel industry partners, international media and other guests for the celebration. Joining sister ship AmaVida which sails between Porto and Vega Terron, AmaDouro will be based in Porto and offer seven-night roundtrip Enticing Douro cruises with a three-night pre-cruise land program in Lisbon. AmaDouro is the first of three new ships that will be added to AmaWaterways’ fleet this year. Other new ships making their debut include AmaMora, sister ship to AmaLea and AmaKristina, sailing on the Rhine, and AmaMagna on the Danube.